Quick update. 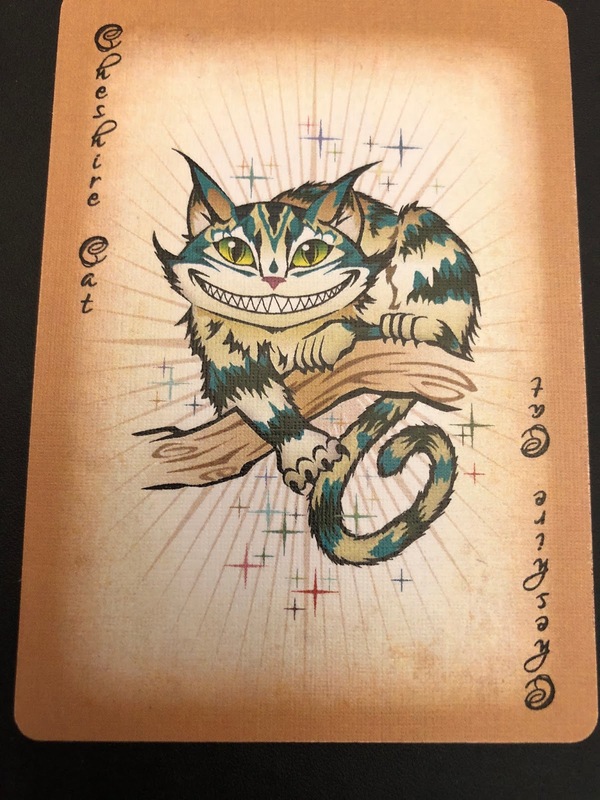 Just bought a new Mad Hatter joker. Here is it front and back. 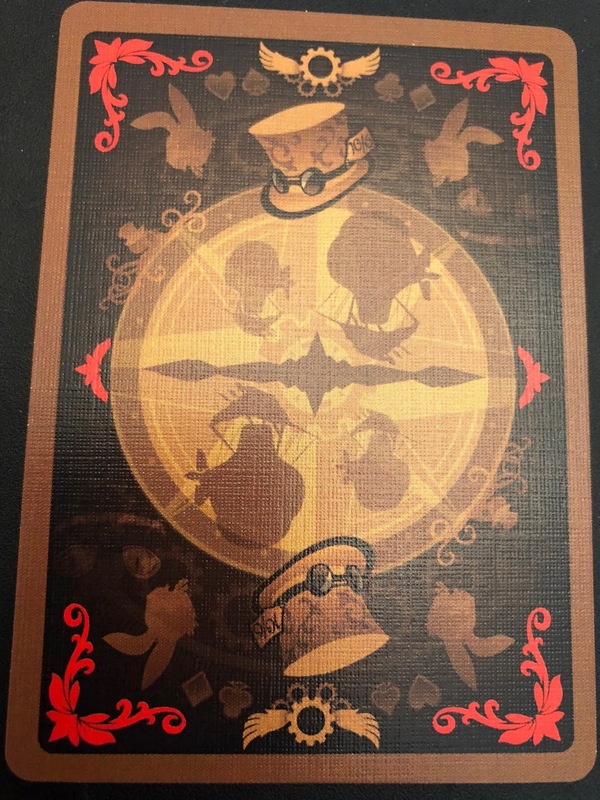 Here's my Alice in Wonderland deck, a Steampunk Adventure deck. There are three jokers: the Cheshire Cat, the White Rabbit, and Alice. 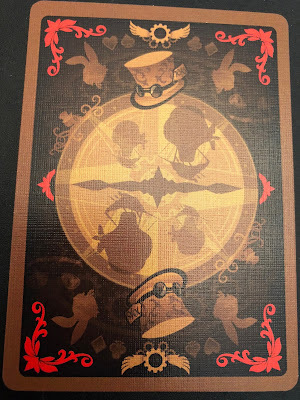 Here is the back of the Alice in Wonderland deck. Pretty good but it didn't blow me away. On the other hand, I loved the Jack, Queen, and King of Diamonds. Especially the queen. 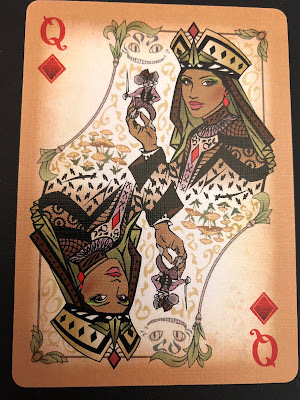 The detail on the queen that is so cool is the tiny mouse that she's holding. 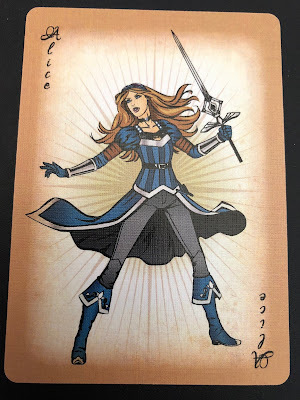 Generally, the details on the royal cards are great. 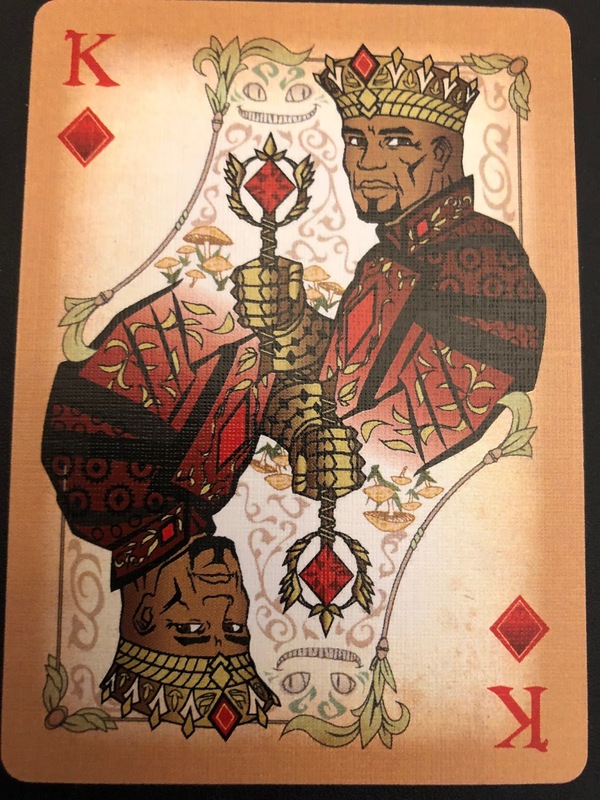 The diamonds are cool since this is an integrated deck which is really rare. 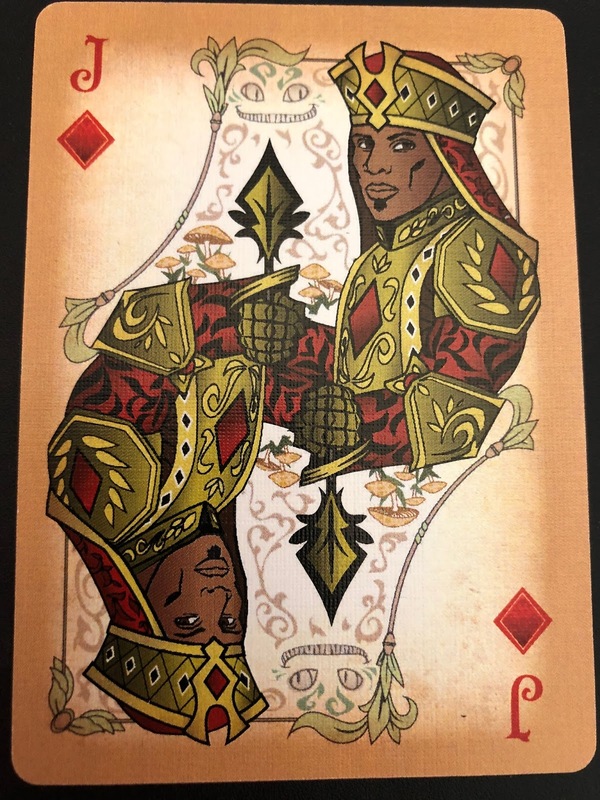 The next picture is not of a playing card. 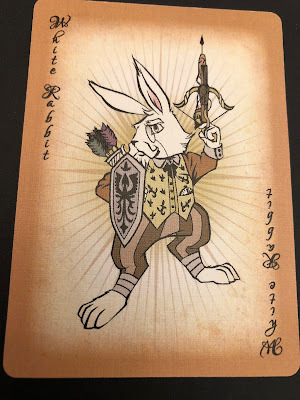 This morning, I opened my Alice in Wonderland deck partially because last night for Halloween, we dressed up as Alice and Mad Hatter. 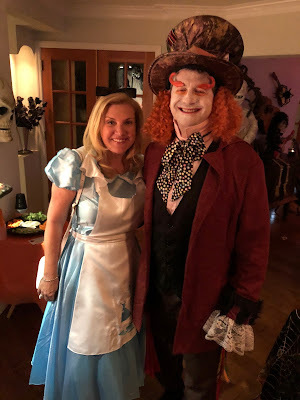 Wifey was Alice, I was the Hatter. We won first prize for costumes at a neighborhood party. I'll probably be scraping greasepaint off my face for a week but it was worth it in that Wifey liked how she looked as Alice (actually, when she wasn't next to me, people thought she was Dorothy).